Summ is a full-service accounting company with expertise in many fields. Read their story about how Airtame helped them have better client meetings. Schools, churches, football clubs, private car leasing platforms, and now, accounting companies. We’ve got quite a diverse community of customers and we like it! 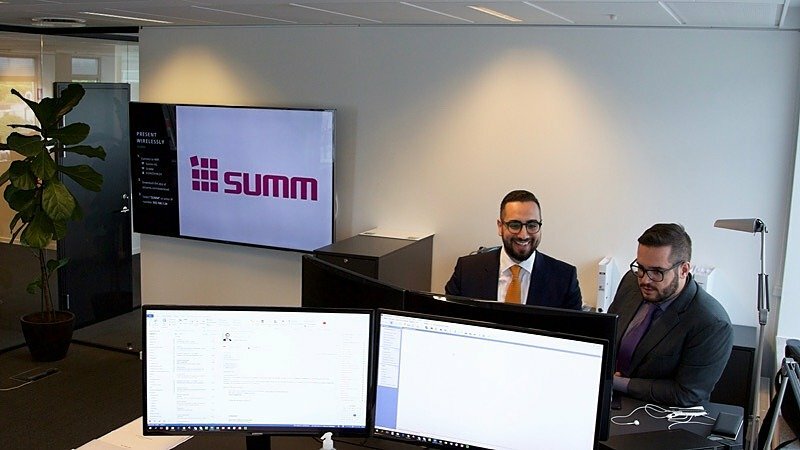 Not long ago, our friends at Summ, a full-service accounting and advisory firm, were frustrated because they couldn’t easily share spreadsheets and PDFs with their clients during meetings. Before Airtame, it was a big pain to share stuff at the meetings with our customers and now with Airtame, it’s just been much easier to have a meeting with them. Summ is an accounting company with expertise in many fields, such as financial advising, bookkeeping, salary, and IT-economical software. They make it a priority to develop close and personal relationships with their customers. With us, you are not just another customer in line, but will get just the focus that you expect. You will have a permanent contact person with detailed knowledge of your business, who is always there for you and your financial questions. It’s very nice that everything is wireless and we can just switch to the customer’s computer if he wants to show us something without any trouble at all. So that’s really cool. 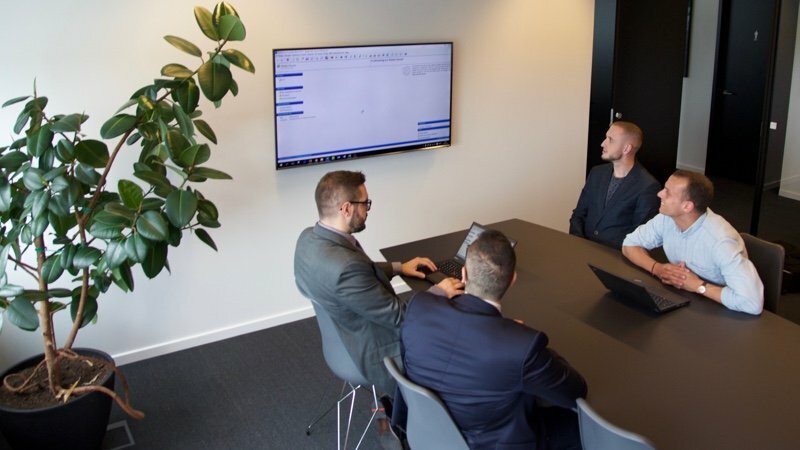 Typically, the things that we are showing on Airtame in our line of business is, for example, Excel sheets or PDF sheets, where we are going through different documents with the customers. 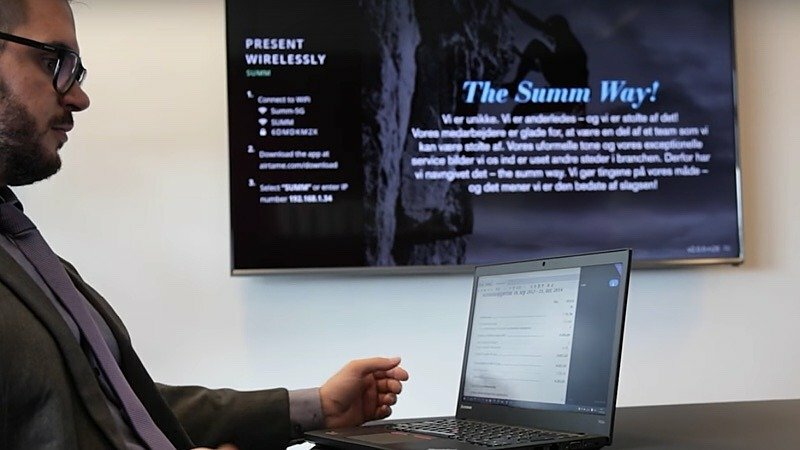 We have more in common with Summ, than a passion for wireless HDMI. Both our companies’ core objectives orbit around customer happiness and keeping sky high standards. In the end, the Summ way also became the Airtame way. If you’re ready to make the switch from cables to Airtame, write to us at sales@airtame.com!